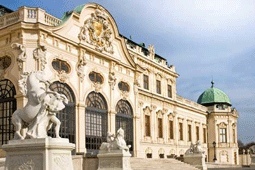 The historic city centre of Vienna was designed for the pedestrian and the horse-drawn carriage. As a result, many of the cities important attractions are within easy reach of one another. The city offers a unique blend of imperial traditions, rustic wine taverns, old coffee houses and stunning modern architecture. The history of the city dates back to the first century AD, but today’s cityscape is characterised by the abundance of baroque buildings built during the time of the Emperor Franz Joseph. 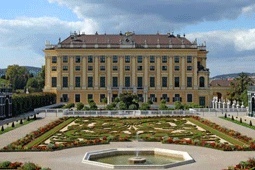 The former Imperial summer residence, the Schonbrunn Palace, boasts beautifully tended gardens, the Gloriette monument, the Palm House and a zoo – it is one of the most visited attractions in the city and should not be missed. The huge Hofburg (Imperial Palace) was the base for the Habsburg dynasty for over six centuries and is another major focus in the city. Vienna owes much of its international fame to the many celebrated composers who lived and worked here including Strauss, Mozart, Beethoven and Haydn. 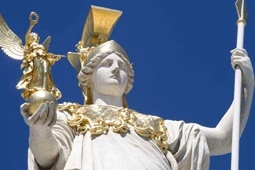 The Vienna Philharmonic Orchestra is one the world’s best, the Staatsoper one of the world’s leading opera houses, the Vienna Boys’ Choir one the world’s most famous. 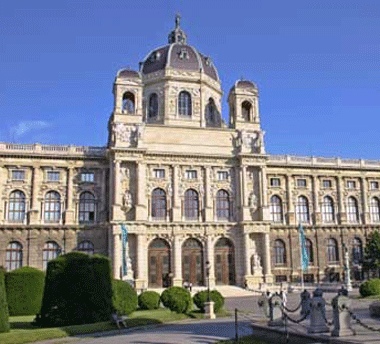 In recent times, Vienna has also established its reputation as a great musical metropolis which attracts many to take a Vienna city break. Vienna, a city that breathes nobility. Take the finest culinary traditions from Bohemia, Austria, Hungary and the Balkans, blend them together and you’ve got Viennese cuisine. Leupold und Kupferdachl, Schottengasse 7, Vienna 1010. This family establishment, opened in 1952, is considered a classic in the old city. 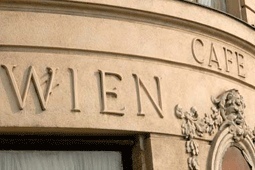 Roth, Wahringerstrasse 9, Vienna 1. With seasonal specialities, a shaded garden and a first-rate bar, this modern restaurant should leave you withg little to be desired. Griechenbeisl, Fleischmarkt 11, Vienna 1. Vienna’s oldest restaurant with its vaulted dining rooms and shaded garden offers traditional Viennese and international cuisine. B72, Hernalser Gurtel 72, Vienna A – 1080. Located beneath railway arches, the B72 is a lively, modern club with a trendy clientele. Staging all sorts of musical events – from Ragga to hiphop brass orchestras – B72 is one of the hottest tickets in town. First Floor, 1 Seitenstettengasse, Vienna. With a downtown setting (the closest U-Bahn is Schwedenplatz), and a great range of cocktails, the First Floor has a friendly, knowledgeable staff and an aquarium that runs the length of the bar! Onyx Bar, Haashaus, Stephansplatz, Vienna, A 1010. One of Vienna’s trendier spots, the Onyx Bar is frequented by the city’s hip and happening. The main shopping street is Mariahilfer Strasse situated between the centre of the city and the Westbahnhof where you’ll find hundreds of shops offering jewelry, fashion, accessories and gadgets. In the city centre the Karntner Strasse, Graben and Kohlmarkt are the main areas for the easy release of your hard earned cash. Viennas airport is Flughhafen Wien-Schwechat, 19km south east of the centre. The airport is connected to the city centre by the S-Bahn line S7, which runs underneath the airport. Trains leave every 30 minutes and take approx. half and hour to reach Wien-Mitte, beside Viennas main bus terminal. There is also a regular bus service- every 20 minutes - to the City Air Terminal beside Wien-Mitte. 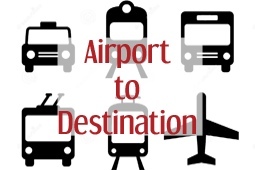 A taxi service is also available from the airport.